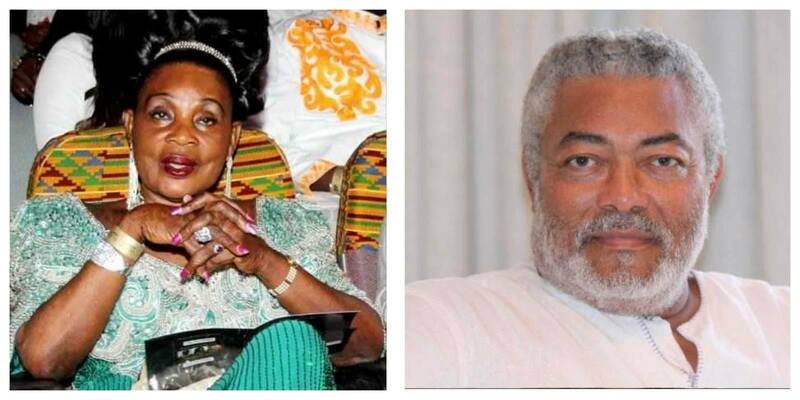 Veteran actress and media personality, Maame Dokono born Grace Omaboe has opened up on her alleged affair with former President Jerry John Rawlings. She said contrary to speculations, she never dated Ghana's longest serving President. “I don’t think I will ever have an affair with a president,” she said. She explained that she can’t be in a relationship with a president because she won’t be able to criticise that person. There were rumours that she had a fallout with former First Lady, Nana Konadu Agyeman-Rawlings, because of the alleged affair. But one of Ghana's most loved actress, speaking in an interview with Deloris Frimpong Manso on the Delay Show, denied reports that she switched camps from the National Democratic Congress (NDC) to the New Patriotic Party (NPP) because of the alleged affair. According to her, the former First Lady knew she never dated her husband, the renowned Obra star said. The 71-year-old actress explained that she had a fallout with the former First Family and the NDC because some people felt she had become a “political prostitute”. Maame Dokono revealed that although she has always been a member of the governing NPP, she decided to join the NDC because of what Nana Konadu Agyeman-Rawlings was doing for women in Ghana through the 31st December Women’s Movement. She alleged that the former First Lady seized all the equipment she had given her for the production of ‘By the Fireside’ children's programme on tv. According to her, Nana Konadu suspected that she was flirting with the NPP because of her association with the late NPP parliamentarian Hawa Yakubu.